Only users with "Account Owners" or "Make Payments" privileges can upgrade their Kanbanize annual subscription plan. 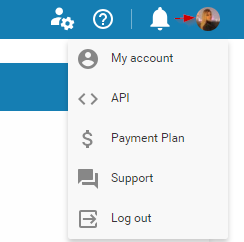 Step 1: To upgrade your annual subscription plan-> access your account and click on your avatar at the top right side of your board interface -> select Payment Plan from the menu. - The total payment amount is equal to $0.00 as the payment has been made upon subscription. Step 3: To upgrade your annual subscription i.e. to increase the number of users, to add more features to your plan and/or to increase the number of Business rules -> just make the changes in the respective fields in accordance with your needs. The calculator will instantly display the new total payment amount -> it calculates the delta and displays the due amount for the added users or/and features for the leftover period of your subscription. For example: let's assume that you have added 10 users as well as the SSO & 2FA features. 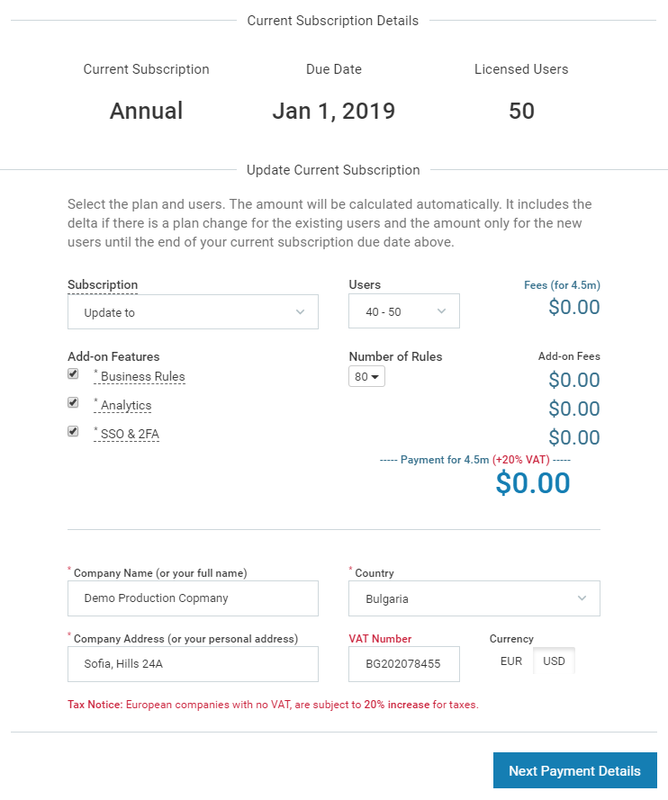 If your annual subscription expires in 8 months: the Total Cost will display the sum which is to be paid for the remaining 8 months of your subscription. Click on Next Payment Details to proceed with the upgrade process. 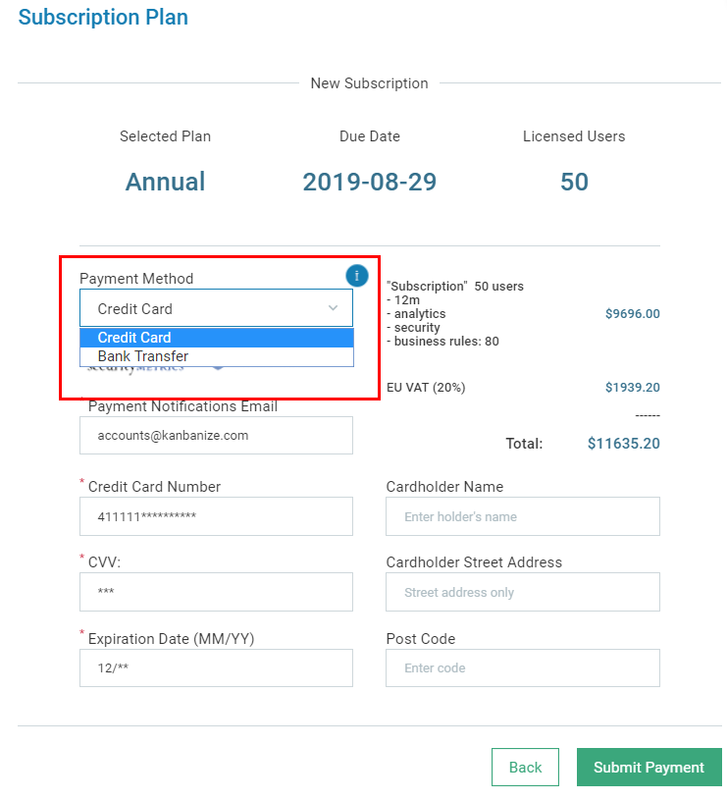 Step 4: The annual subscription upgrade can be paid by credit card or bank transfer -> please, select your payment method from the corresponding field (img.3). Note: The additional features will be available to your account immediately upon payment submission.